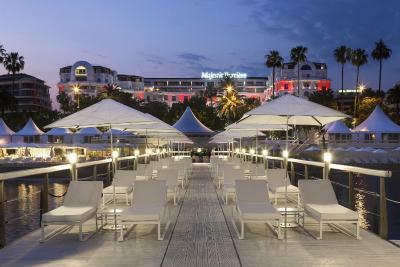 Lock in a great price for Hôtel Barrière Le Majestic Cannes - rated 9.1 by recent guests. Staff all very friendly and helpful, lots of security around who were also friendly. Location was brilliant. Very well equipped fitness centre. Will stay again. The hotel was very nice and the facilities were extraordinary. We really found the bed very comfortable and the staff was very friendly and helpful. They give you the feeling of being very special. 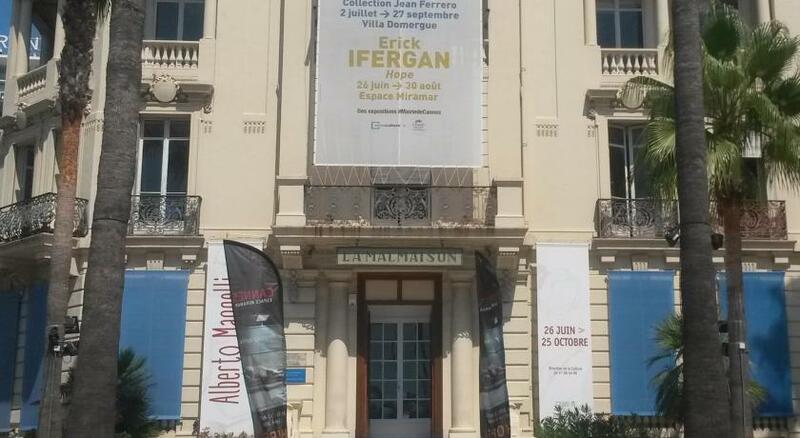 nice, right in the middle of Cannes - easy access to beach, restaurants and stores. Good localisation, you can see the beach, La croisette is the place to be. breakfast very good. The staff are excellent. I always get an upgrade. The refurbished rooms are lovely and a good size. The location is fantastic. 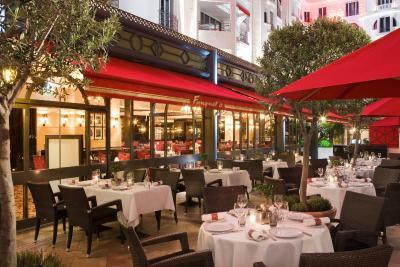 One of our top picks in Cannes.Offering views of the Mediterranean Sea, the Hôtel Barrière Le Majestic Cannes is located on famous La Croisette Boulevard in Cannes, 100 yards from the Palais des Festivals and the old port. It features an outdoor heated pool, a spa and a private beach. 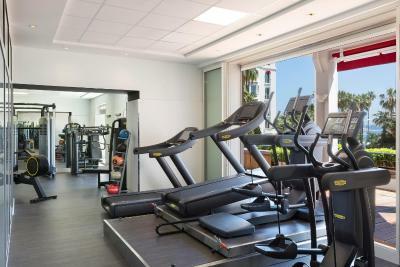 Guests have free access to the wellness area and 24-hour fitness centre. 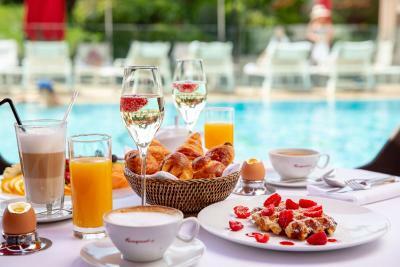 The Hôtel Barrière Le Majestic Cannes offers 260 rooms and 89 suites featuring air conditioning, soundproofing, satellite LCD TV, free WiFi access and a private bathroom. Most rooms have sea views. Guests of the Hôtel Barrière Le Majestic Cannes can enjoy massages and relaxation therapies in the hotel spa, Spa Diane Barrière, which uses Biologique Recherche and LIGNE ST BARTH products. 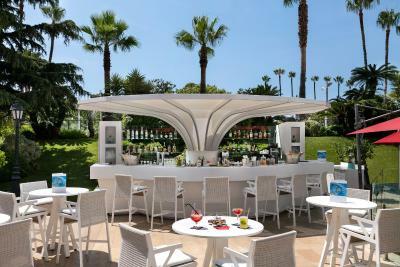 Guests can also relax on the hotel’s sunbathing terrace. Access to the hotel's private beach is free of charge and sun beds can be rented on site. The hotel features 3 on-site restaurants. 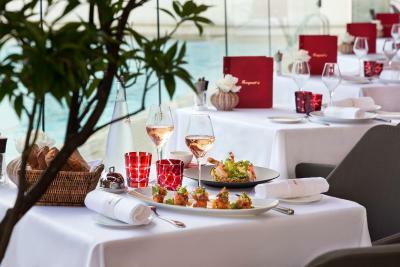 The traditional French brasserie, Le Fouquet's, serves a menu created in collaboration with Pierre Gagnaire. La Petite Maison de Nicole offers typical Mediterranean cuisine with live music every Thursday, Friday and Saturday night. 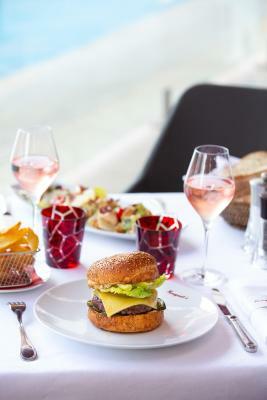 BFire by Mauro Colagreco restaurant is open all year long and located on the private beach. Asian and halal breakfasts can be provided upon request. The hotel offers a kids club, Studio by Petit VIP, which is free for children aged 4 to 12 years old. The hotel is situated just a minute’s walk from the beach, 450 yards from Cannes Train Station and 16.8 miles from Nice Airport. Secure private parking is also available at an additional cost. Charging stations for electric cars are available at this property. 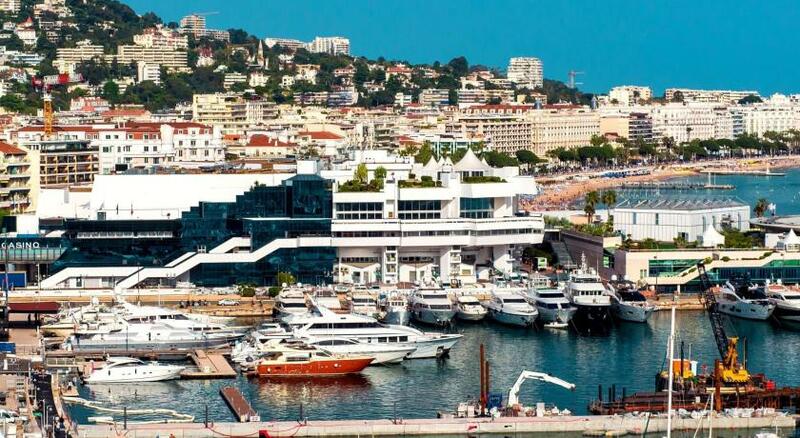 Cannes City-Centre is a great choice for travellers interested in shopping, luxury brand shopping and food. This is our guests' favourite part of Cannes, according to independent reviews. This property also has one of the best-rated locations in Cannes! Guests are happier about it compared to other properties in the area. Hôtel Barrière Le Majestic Cannes has been welcoming Booking.com guests since 7 Dec 2005. 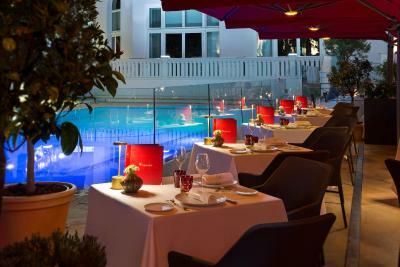 When would you like to stay at Hôtel Barrière Le Majestic Cannes? This contemporary room overlooks the city of Cannes. Complimentary access to the Spa Diane Barriere (fitness and wellness centre) is also included. Please note that this room can accommodate a maximum of 2 guests. No extra beds can be accommodated in this room. No communicating rooms are possible for this room category. Private parking is possible on site (reservation is not needed) and charges are applicable. Guests in this elegantly designed room can enjoy a partial view of the Mediterranean sea. Interconnecting rooms are available. This room can accommodate an extra roll-away bed or baby cot upon request. 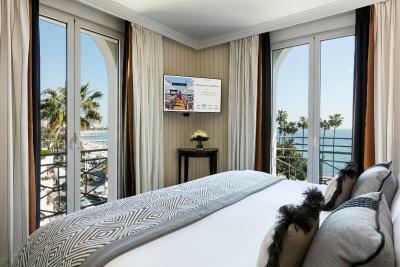 This room features a modern, elegant design and a panoramic view of the city of Cannes. Interconnecting rooms of this category are also available. This room can accommodate an extra roll-away bed or baby cot upon request. This spacious suite is composed of a large bedroom, a lounge area and a renovated bathroom. Interconnecting suites are possible. This suite can accommodate 1 extra bed for a supplement. To arrange this facility, please leave a message in the Special Requests box. The suite can accommodate up to 2 adults and 2 children for a supplement. This stylish junior suite features panoramic sea views and an elegant design. Interconnecting rooms are possible. This room can accommodate 1 extra bed for a supplement. To arrange this facility, please leave a message in the Special Requests box. Perched on the top floor of the hotel, the superior suite offers guests a panoramic view over the city of Cannes. The suite features a living room and a large bedroom. Decorated with marble fittings, the bathroom is stocked with luxury amenities. A welcoming gift is offered, as well as a coffee set, iPod dock, free daily newspapers and free WiFi access. Express early check in and late check out is offered upon availability. Elegantly decorated, this prestige double room offer views of the Mediterranean sea. Interconnecting rooms are possible. This room can accommodate an extra roll-away bed or baby cot upon request. These suites feature a bedroom, a separate living room and a panoramic view of the Mediterranean sea. 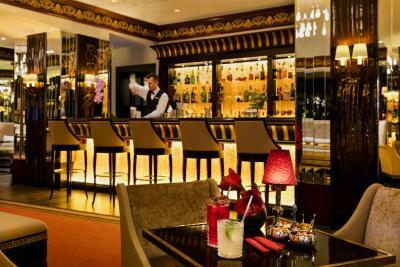 A welcome gift is offered, as well as a coffee set, iPod dock, free daily newspapers and free WiFi access. Express early check in and late check out is offered upon availability. 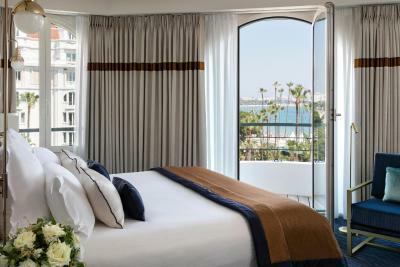 These suites feature a large living room, a separate bedroom, a wardrobe and a spacious terrace with panoramic views of the French Riviera and the red carpet of the Palais des Festivals. Additional benefits in this room include a complimentary airport transfers, a welcoming gift, free daily newspapers, a coffee set, an iPod dock and free WiFi access. Express early check in and late check out is offered upon availability. This air-conditioned room offers a view of Cannes and is fitted with a corner office area and a private bathroom. It includes ironing facilities, a flat-screen TV and free WiFi. 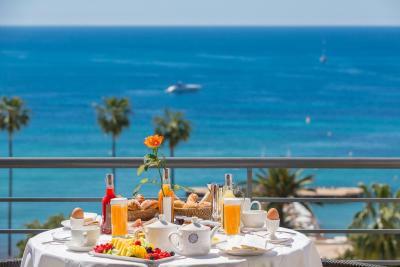 Hôtel Barrière Le Majestic, perfectly located on La Croisette, facing the Mediterranean Sea and Le Palais des Festivals is imbued with luxury, elegance, charm and refinement. 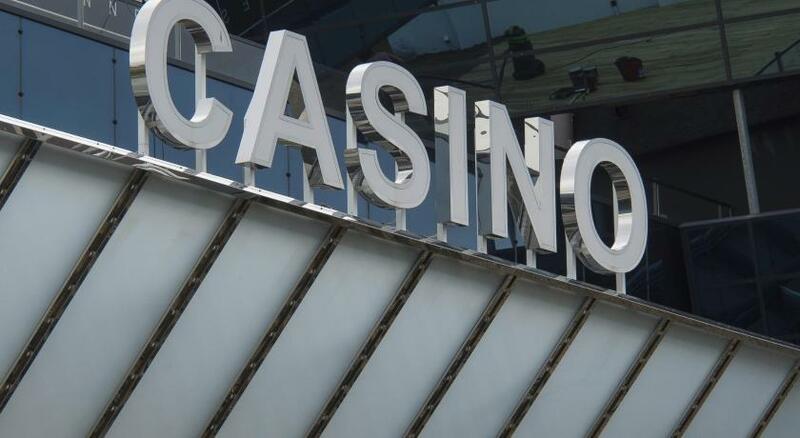 This legendary palace invites you to discover 349 rooms and suites offering splendid interiors, stunning views of the Bay of Cannes and quality service. All year long, enjoy a heated outdoor pool (27°c) and a contemporary and trendy beach. Gastronomy is one of the pleasures that Hôtel Barrière Le Majestic Cannes cultivates with passion; from the private beach restaurant to the Fouquet’s Cannes in the spirit of great traditional French brasseries or La Petite Maison de Nicole and its colourful plates, where you can sample the best dishes the Mediterranean tradition has to offer in a convivial atmosphere. (Live music on weekends) Treat yourself at the Spa Diane Barrière, a 450m2 oasis of well-being with its 24H/7 Fitness Centre and Sensory Space (sauna, hammam and experience shower) While parents are relaxing, children have fun at the Studio by Petit VIP, a dedicated space, complimentary, where they will enjoy unique moments on the themes of cinema and the 10 major arts. Hotel surroundings – This neighbourhood is a great choice for travellers interested in shopping, luxury brand shopping and food – Check location Excellent location - show map Guests loved walking around the neighbourhood! House rules Hôtel Barrière Le Majestic Cannes takes special requests - add in the next step! Free! All children under 2 years stay free of charge for children's cots/cribs. Hôtel Barrière Le Majestic Cannes accepts these cards and reserves the right to temporarily hold an amount prior to arrival. 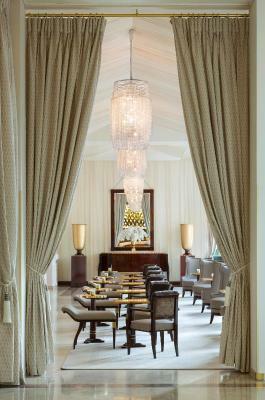 Please note that the private beach Majestic can be closed for meetings, festivals or private events. Please contact the property for more information. Please note there is an extra cost for mattresses on the private beach Majestic. Please note that the outdoor heated pool is open every day from 10:00 to 20:00. 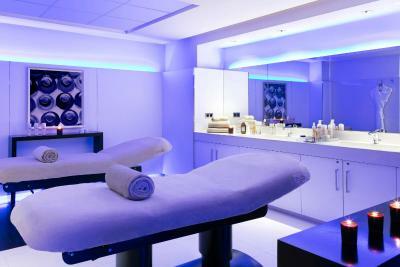 The New Spa Diane Barrière is open every day from 9:00 to 20:00. 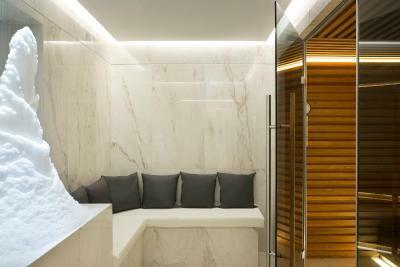 Guests can access the fitness area and sensorial space free of charge. The Studio by Petit VIP Kids' Club, a space dedicated to children from 4 to 12 years old, is available free of charge. For more information please contact the property. 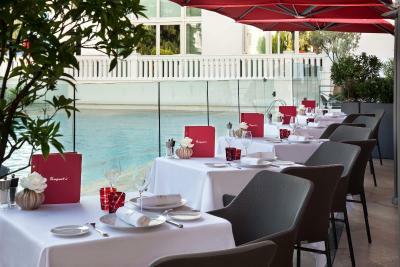 Breakfast with Champagne is available at the Fouquet's Cannes from 7:00 to 10:30. Please contact the property for more information. Please note that the Superior Room can accommodate a maximum of 2 guests. Loved the hotel! Perfect location. Breakfast pricey if you’re not drinking bubbles, but food was excellent. The hotel parking costs CHF 45 a day The “sea view” is not really a “sea view” if your room located on the lower floors 1st to 3rd because of the trees blocking the view .. if you want to enjoy a “sea view” ask for rooms between the 4th and 7th floors. The Great location. The staff was very kind to grant us rooms upgrade. We had dinner at the Fouquets and it was not worth the money. Also we expected a rooftop pool and bar, as shown on the booking.com website, but actually when we arrived we’ve found out that this is a separate private suite and not for the other guests. This was very misleading. Room to close to utility room and freight elevator. Loud. Very small room with ugly view was disappointing. Pool is rather small but if weather is good, beach is so close! The hotel has double charged the parking cost and breakfast. I have claimed by email but nobody reply regading this extra charge.